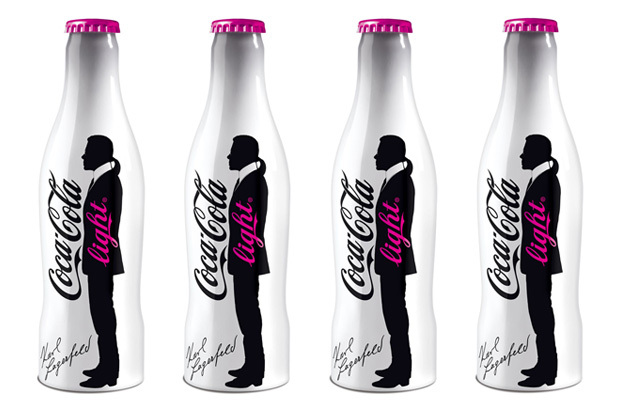 Coca-Coca Light the Lagerfeld way! This favorite drink of women has called upon the genius of Karl Lagerfeld to dress the Coca-Cola light aluminum bottle. The designer lends his inimitable style and his unmistakable silhouette to the chic lines of the bottle, all in a special limited-edition box, accompanied by a bottle-opener hidden in a drawer. The Coca-Cola light box by Karl Lagerfeld is the must-have of the season and is now available via colette.